sophia ~ water soluble oil paint on collaged watercolor paper, approx. 4" x 6"
sophia was maybe my fourth or fifth oil painting. i stopped shortly after i painted her to wait until i got more colors. initially i ordered six colors and yellow wasn't one of them; i thought that raw sienna would be so much more useful for faces, and it is, but you need yellow! i'm *amazed* at how far oil paints go - the smallest dab of color is all you need for most things. so far i've used a lot of white and a very little of everything else! me painting with watercolors in my 'office' this morning. it may be possible to have too much paint, but i doubt it. Big Summer time love to you ! Sophia is quite lovely, i feel a peacefulness in her or in me as i look at her. i love your office, we have so many mosquitoes at the moment, that would not be possible. Now there is an invention, a must have. 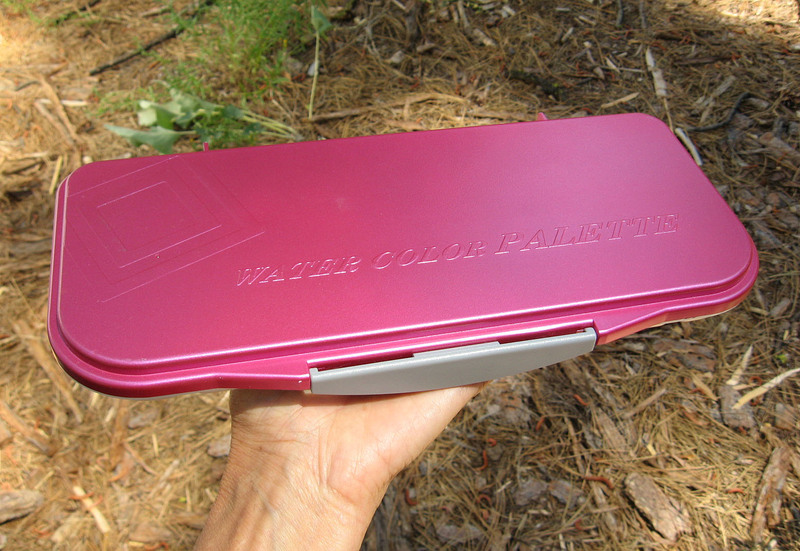 An air tight pallette. Thank you for showing it! I like the papers and their bumpiness, the painting is very wonderful; the oil colors are so rich, and yes, yellow is needed for those skin tones. Sophia is powerful. Seems to be telling a story, deep allusions. love the case i will look for one. Hope you have some calm office hours with good air and light. Sophia looks as wise as her namesake. I need to get one of those air-tight palettes!! I love Sophia! Love that rosy cheek! Sophia has class...just like her name. :) I just love her! Loving these Stillman and Birn journals Lynne! Thank you for telling us about them! Softly spoken. Such a wonderful piece of work, Lynne. This case is fantastic, have one myself. Took it on a trip, "airtight" was what I was looking for, this did the trick! I am curious tho, water soluble oil paints? oooo, Sophia is a beauty in so many ways. She is such a deliciously delicate, wise beauty. She knows more than she tells and peers directly into the hearts and minds of those she meets the way most people watch television. 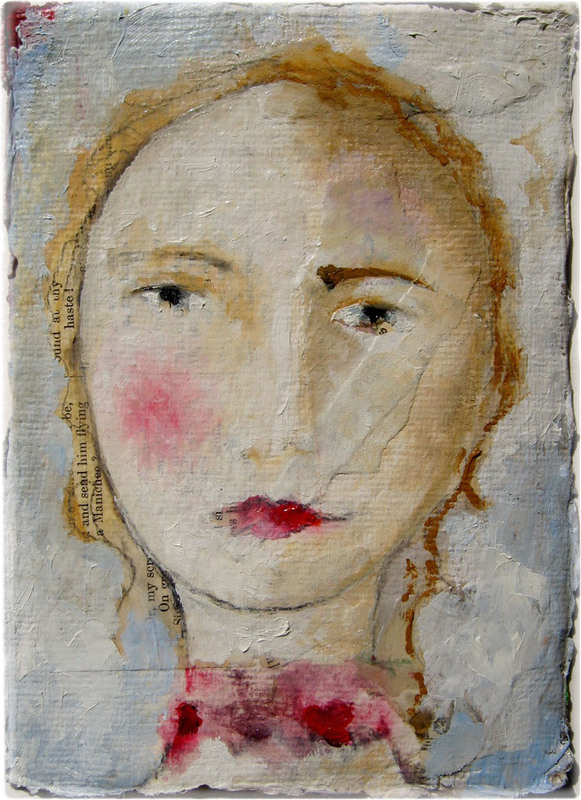 as a painting I love the texture of the paper showing through and her wordy hair, her singular blushing cheek, the patch across her face. I think she might be my favourite so far, but then I forget your many painting beings too soon! Lynne, Sophia is truly beautiful. Your girls really glow off the pages now that you are using the watercolor oils. Guess you just have to buy the BIG tube of white! 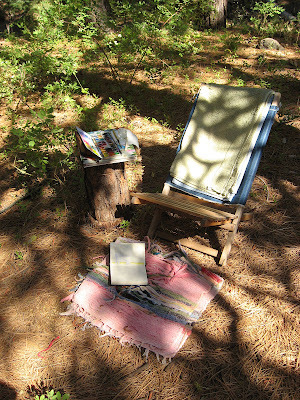 Still lovin' the outdoor studio. Beauty abounds. Happy summer Lynn! I love Sophia and I love your "office." Very serene and beautiful. I adore your office and your painting. I have had the same experience with oils. Apart from white, I only use smidhes of the other colours. I love the face as always. Your figures are very delicate and ethereal. Beautiful and mysterious artwork. 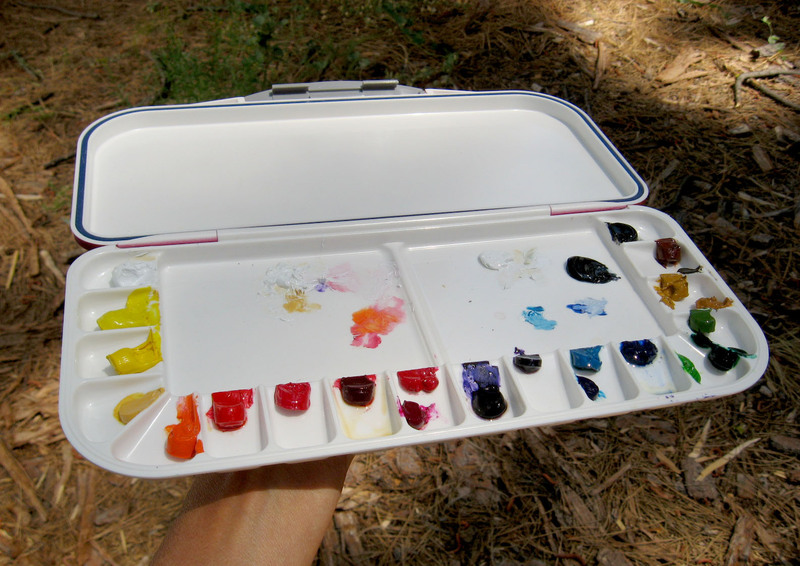 Been wanting to make my own palette, but haven't yet! of acrylics, I mean... did I mention I'm scared of oils? I used to paint with oils, but the smells are too much for me now. I was 12-17 when I first used them.